Did you attend the OuiShare Fest Barcelona 2017? If you did, and were not interviewed by a member of our team there, please take our survey online! 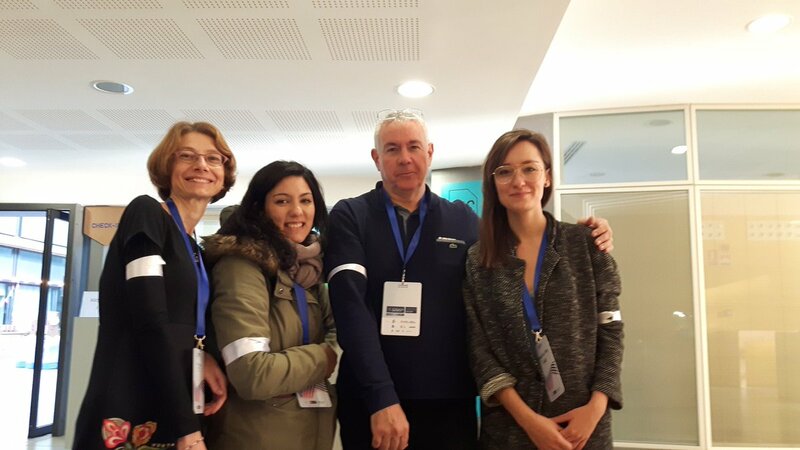 With a group of colleagues from Universitat Autònoma de Barcelona and in Collaboration with OuiShare, we are studying networking at the event. The OuiShare Fest aims, among other things, to bring people together: we want to see how interactions between participants facilitate circulation of ideas and possibly give rise to future collaborations. We did the same study at the OuiShare Fest Paris 2016 and 2017. Sharing Networks study 2017: Moving online! 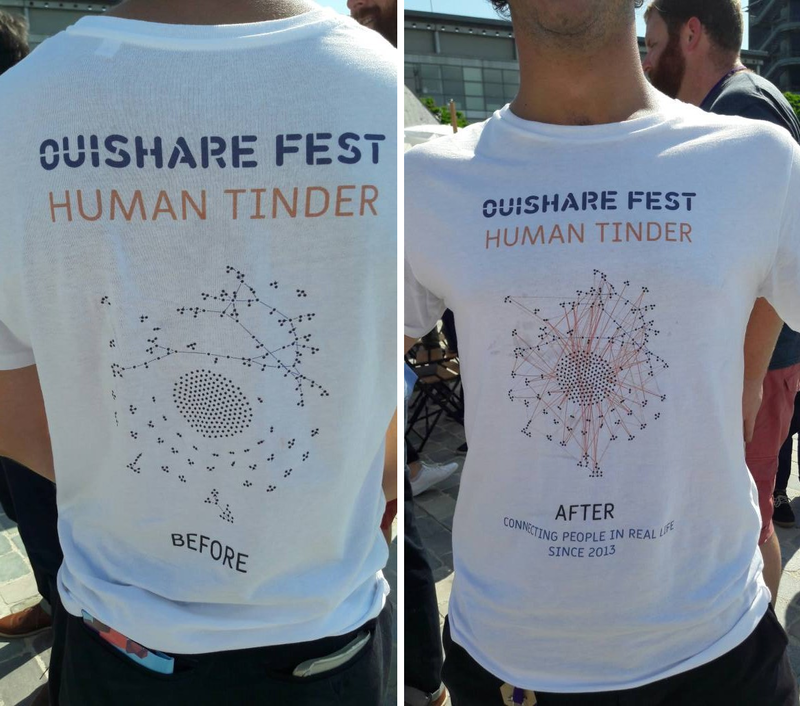 I’m so excited that earlier this month, I ran the second wave of data collection for my Sharing Networks research project at OuiShare Fest 2017! The Sharing Networks 2017 survey team (incomplete). 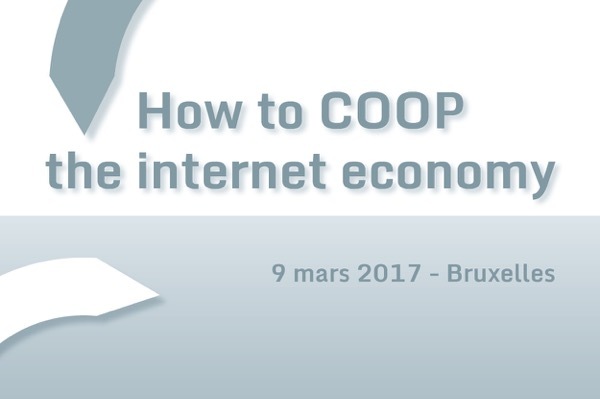 The study aims to map the collaborative economy community that gathers at OuiShare Fest, looking at how people network and how this fosters the emergence of new trends and topics. 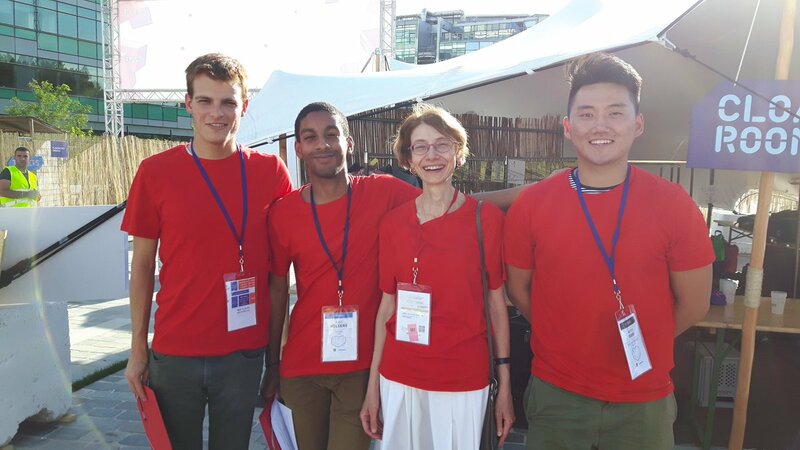 During the event, a small team of committed and effective co-researchers helped me interview participants. We used a questionnaire with a “name generator” format, typically used in social network analysis to elicit people’s connections and reconstitute their social environment. Results of our Sharing Networks 2016 survey have now become a T-shirt. OuiShare Fest, and met again there (“old friends”), and people they met during the Fest for the first time (“new contacts”). Then we asked them to choose, from among the “old” and “new” they had named, those they would like to contact again with soon, for example for joint projects or collaborations. I am very happy with the result: 160 completed interviews over three half-days! But it is still not enough: participants to the Fest were much more numerous than that, and in social network analysis, it is well-known that sampling is insufficient, and one needs to get as close to exhaustiveness as possible. Therefore, for those OuiShare Fest 2017 participants that we did not manage to interview, there is now an opportunity to complete the questionnaire online. If you were at the Fest and we did not talk to you, please do participate now! It takes less than 8 minutes, and you will help the research team as well as the organization of the Fest. 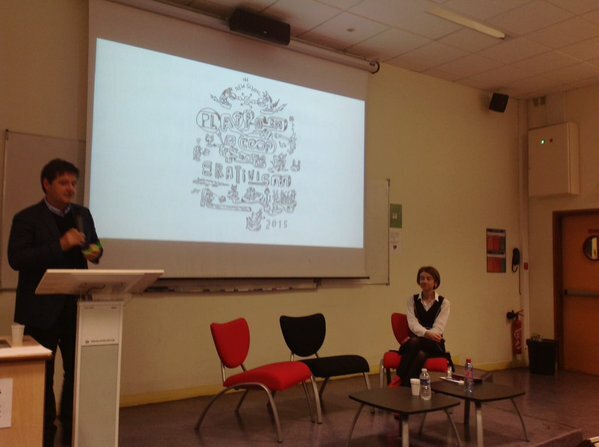 Many thanks to the team of co-researchers who helped me, the OuiShare team members who supported us, and all respondents. Highlights from results of last years’ Sharing Networks survey are available here. 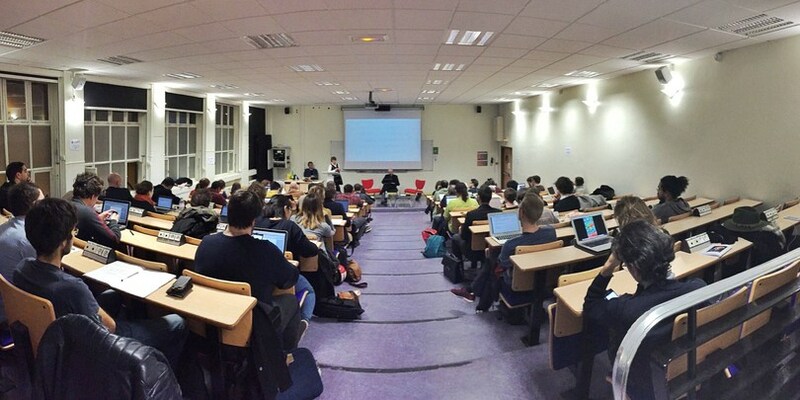 On Monday, 7 December 2015 at Telecom ParisTech, I was discussant at a seminar by New School scholar Trebor Scholz on “Unpacking Platform Cooperativism“. Internet platforms carry an unprecedented potential of value creation, exploiting the extraordinary power of data and algorithms to extract and distribute information to an extent never seen before. Information, we know since Hayek’s times, is the fuel that keeps markets going, that eliminates “lemons” and ensures an ever-better coordination between buyers and sellers, borrowers and lenders, or landlords and tenants. At the same time, the internet has channeled the dream of a viable non-market society, since Rheingold’s 1993 revival of the “community” and Barbrook’s 1998 “hi-tech gift economy“. So, can we put this informational efficiency to the service of a more humane economy, based on relationships, solidarity and reciprocation, rather than on the sheer market system? The so-called “sharing economy” suggests answers, but also displays a tension: the efforts of myriad grassroots associations to develop collaboration as a value and a practice, sharply contrasts the spectacular growth of firms like Airbnb and Uber, now large multinationals, and their alleged cavalier attitude to anti-trust regulations and workers’ rights. If some say Uber is not really about sharing and collaboration, it is difficult to draw the line. This ambiguity is fostered by a public discourse that focuses on the sharing of assets – the spare room in your home, or a sit in your car – that digital platforms enable. Asset-sharing has economic and social appeal: it increases efficiency by preventing assets from lying idle, while reducing waste, shifting emphasis away from consumerist values (“access is better than ownership“), and facilitating sociality beyond mere consumption. But it is often forgotten that asset-sharing does not produce value by itself: it involves extra labour. In economic jargon, capital and labour and complementary production factors. In practice, if you want to put your spare room on Airbnb, you must produce an ad, monitor your message inbox and reply swiftly. You must clean the room and do the laundry before and after a guest’s visit. You must show your guests around when they arrive. More importantly, the very opportunity of asset-sharing changes the incentives that shape labour supply – people’s willingness to sell their time and effort against a payment. Because of the expected compensation, some people will renounce use of a (non-spare) room to accommodate visitors instead, and others will do more journeys to drive passengers around – so it’s not really about sharing unused assets, it is about self-employment and starting a micro-business. A work opportunity as a complement to (and sometimes a substitute for) a main job. This is where debates on internet platforms and the sharing economy rejoin the growing literature on digital labour — and where the contribution of Trebor Scholz is illuminating. Where others see assets (ie, capital), he sees labour. He shows us that the bottlenecks here are about labour, not capital, and that the success — be it economic or social– of the sharing economy is closely tied to the destiny of labour. Whether it appears on the surface as self-employment, micro-entrepreneurship or salaried work, doesn’t really matter. Trebor reminds us of Marx’s fundamental principle that production relations are central to our (capitalist) society, and value generation rests ultimately on labor. If this very crucial part of the human experience goes wrong, even the best side of the sharing economy – the one that endorses trust, reciprocity, and zero-waste – may fail to perform any transformative effects on society.